For Boston Area pet owners requiring a safe environment for their dog while working or traveling is a prime concern. Sending your dog to doggy daycare is a growing trend among pet owners. In your grandparent’s time and possibly even our parent’s time, doggy daycare was unheard of and such a thing would have been scoffed at and ridiculed. But times have changed, lifestyles are drastically different and we all adhere to hectic schedules with little time to spare. Exercising and playing with our beloved pets often takes a backseat to work, home and family obligations and is sometimes relegated to weekends only, if we can fit it in at all. The role of pets in the family structure has changed over the decades as well. Most pets today are valued and cherished members of the family and pet owners experience feelings of guilt when leaving their dog alone at home for 8, 10 or possible more hours every day. The sad look in the dog’s eyes as they follow you to the door, hoping to come along, makes it difficult to close the door and get on with your day without some regret. Some dogs adapt by sleeping most of the day and staying awake at night, other high energy dogs get into mischief, chewing things, eating forbidden things, jumping on furniture, and destroying household objects. All dogs routinely left alone for long hours are lonely. Thus, the emergence of doggy daycare facilities, drop your dog off at the facility on your way to work in and around the Boston area and your dog spends its day receiving tender loving care from experienced dog handlers while socializing, playing and exercising with other dogs. Most dogs love it and once they are acclimated to the handlers and the facility, are happy to be dropped off for an afternoon or a full day of fun. Pet owners using these services are as pleased as their pets are. They report that their pets become physically healthier, more alert and friendlier. Guilt is eliminated as your dog races out of the car in anticipation of spending time playing with other dogs. A day of mental and physical exertion in a different environment leaves your dog tired at the end of the day and ready to sleep soundly through the night which is a blessing to many families. You may think the cost of doggy daycare would be too expensive to consider, but it is surprisingly affordable. Most facilities offer daily rates, half day rates, weekly rates and many have special package deals. When you consider the health care costs of a dog that is lonely, idle and confined most of the day, or the damage control costs from a bored dog with no energy outlet, doggy daycare is a bargain. Some facilities offer grooming services during your dog’s daycare hours saving you time and the inconvenience of an additional appointment for routine grooming. You pick your dog up at the end of the day clean, groomed, exercised, happy and tired. Priceless! Another benefit to the dog owner is the opportunity to meet and interact with other dog owners. 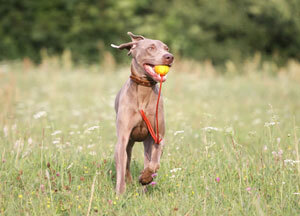 Busy pet owners often don’t have time to socialize with others who are dog lovers. Becoming acquainted with owners that are dropping off or picking up their pets at the same time gives you the chance to share stories, tips and recommendations for vets, dog parks, products that have been tried and strategize solutions to pet problems. People who have like interests tend to share what they have learned. Dog handlers can become valued friends as well. Just as teachers in a child care center pass along their observations and suggestions to the parents of a child, dog handlers also carefully observe the dogs in their care and pass along helpful information regarding health and behavior issues. 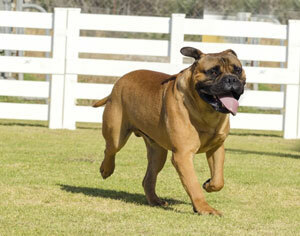 A reputable doggy daycare facility will allow you to make a trial visit with your dog to take a tour of the premises. The following things are important to watch for and ask questions about during the visit. First of all, is the facility certified and can they provide references? Is the staff experienced and how are they trained? What is the staff to dog ratio? Are the dogs always supervised? How many dogs are currently enrolled? 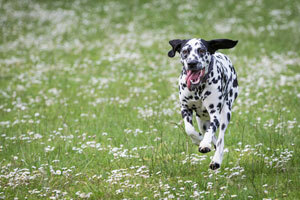 Is there enough space for the number of dogs enrolled to run and play both indoors and out? Does the facility have agility equipment? Are there enough interesting toys? Is the facility clean? Are the dog handler’s friendly and do they genuinely love and enjoy dogs? Is there a vet on site or on call? Is there a heating or cooling system? Do the dogs seem to be enjoying themselves? Are all dogs vaccinated and in good health? 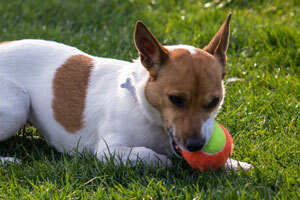 Have all dogs been treated for flea and worm prevention? Once you have determined that a facility meets your expectations, the next step for most facilities is for your dog to undergo an assessment in order to match the dog to the appropriate playgroup. A dog handler will spend time with your dog and assess your dog’s size, temperament, personality, behavior, energy, level of aggression and how adaptable it is. 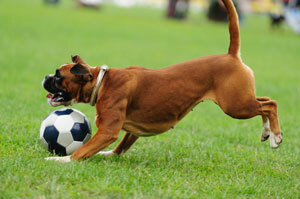 Your dog will be assigned a playgroup determined to be the most compatible group for your dog. This group can be changed at a later time if it does not work out. Some dog owners use doggy daycare occasionally, many use it twice or three times a week and others use it 7 days a week. Feedback from dog owners is that it is an invaluable service that makes their lives much easier, has positive benefits for their cherished pets and gives them peace of mind that their dog is happy and well cared for in their absence. The comfortable and professional environment at Toureen’s Doggy Daycare Center equals a good solution for all. Come in for a tour of our facility in Watertown and see how we can help give you peace of mind with our extraordinary pet care.